Click the button below to add the Vinegar Rinse Cleanser #Build-Up Removers# to your wish list. 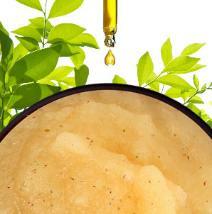 When Shampoo is Not Enough it’s time to try our Vinegar Rinse Cleanser for Results! Immediately improve the condition of your hair and the way your scalp feels with the first use. Made with more than 20 skin and hair loving ingredients full of nutrients. This magical formula improves the appearance of your hair by doing what clarifying shampoos cannot. Leftover residue from hair care products, minerals in your water and environmental dirt tend to build upon your hair and scalp slowly. This forms a barrier that can cause, thin flat looking hair, frizz, or scalp problems. This debris can continue to build upon your scalp clogging follicles and may ultimately lead to hair fall and scalp issues such as itching, flaking, oiliness or fungus. This treatment instantly dissolves and detoxifies leaving hair soft, incredibly shiny and your scalp reinvigorated. As it removes dulling residue, it closes the cuticles on each hair strand for hair that is manageable, sleek, with more bounce for a fuller looking volumized head of hair. This scalp and hair cleanser is color safe, sulfate-free, gentle and non-irritating. Designed for all hair types. I have been struggling with Alopecia for over two years. I haven't worn my hair up in that long either because of bald spots. I tried the steroidal injections (painful), steroidal creams (candida inducing), and many other hair growth products. A friend who runs an eco-salon turned me on to your products, and I can't thank her or you all enough!! I use the Shampoo for hair loss, the vinegar rinse, the Conditioner for hair loss, and the Alopecia hair loss treatment. All exceptional products!! I have been using them since October 2016 and have noticed a 30% decrease in the size of my bald spots, plus the hair that is regrown is thicker than before!! I feel confident that I am applying safe products to my body and that this treatment not only works but is totally healthy!!! I look forward to using these products in the future and even getting some for my kids! Thank you Thank you Thank you just nutritive!! Our cleanser will gently remove residue, build up and dirt that is left behind from hair products and chemical services. 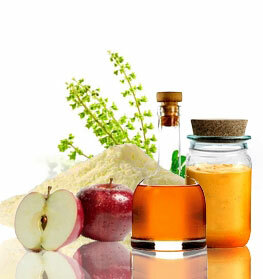 Our Vinegar Rinse Cleanser is made with the nature’s purest ingredients. This vinegar cleanser will soften the hair, provides a natural sheen and create noticeable looking volume. After using this, your hair care products will seem to work better leaving hair feeling clean, restored with improved color and radiance. This rinse is fantastic. I've always had problems with itchy, dandruff scalp somewhat on the oily side. I have only used 2X, and my scalp is itcyh and dandruff free. I personally don't like the smell, but it goes away once your hair is dry. It leaves your hair manageable and shiny. I have used with one of their shampoos and with a Korean shampoo I figure it will work with any shampoo you like. This product cleans hair and scalp and leaves our hair feeling softer than any number of other products or treatments combined. Hands down, one of the best products our entire family has ever tried! Only downside, the component that defeats the bad stuff on your scalp is not a carcinogenic chemical (gladly!!) but instead uses vinegar to do the trick. While it works simply amazing, your hair may have anything from a 'hint' of vinegar to some degree after rinsing or a stronger smell of vinegar depending on the person, the hair, the water used, how well rinsed, etc. So do not expect this to be your best cologne or perfume enhancer but DO expect positive results when you follow the directions. Great product! We have re-purchased many times! Contrary to some other opinions, I am very drawn to the fragrance of this product. It smells like you're walking into an essential oils store. I love it! Using the vinegar rinse cleanser also makes my hair feel so clean, swingy and fresh. Not stripped, just fresh and clean. I have used water/vinegar rinses I've concocted at home because I know vinegar is good for so many reasons for cleaning your hair. But it never worked quite as good as this product, and the smell of straight vinegar diluted with water just lingered forever. This is a fabulous product. Used this for the first time and definitely loved it. I have a3 curls and they get weighed down after a while with products. It stripped my hair and left it light and bouncy after. The vinegar smell is slight but not bothersome. Will be using this again once a month. Thank you just nutritive. Dry hair will be able to receive nutrients from other products leaving it moisturized, vibrant and healthier. This cleanser should be the first product to use when you have dry hair problems as it deep cleanses toxins away from follicles and encourages responsive hydrated hair. Free of sulfates, artificial fragrances, residue and toxins, your hair will feel and become healthier as it starts to breathe and rejuvenate itself. The choking residue is removed from around hair follicles, which can cause hair to be dull, weak, frizzy and subject to breakage. Color safe and color enhancing as nutrients nourish follicles for hair that is restored with more radiant color and nutritive shine. Handmade fresh in the USA. Can be used for all hair types and textures. Protect hair from environmental damage (sun, wind, pool). Apple Cider Vinegar has been used to cleanse and treat the scalp and hair from irritation, dryness and the overproduction of sebum. This ingredient will allow serums to penetrate the scalp and hair better. Herbal extracts like Nettle Root, Comfrey Root, Plantain, Horsetail, Guava, Banaba Leaf and Burdock Root will revitalize and infuse dry hair with the needed nutrition. Avocado Oil is a lightweight, oil that will moisturize and penetrate the scalp and hair to provide the hair shine and nutritive softness. Panthenol Vitamin B5 will strengthen the weakest strands from inside out making the hair less likely to break and will remove unwanted dirt, oil, and build-up. After shampooing your hair, apply an adequate amount to your hair and scalp. Next massage from your roots to your hair tips. Leave the rinse on for one to three minutes and then rinse well with warm water. Use every fifteen days or as needed to remove build-up and to maintain your scalp's health. Excellent for keeping in a new color and is color safe. • This cleanser should be the first product to use when you have dry hair problems as it deep cleanses toxins away from follicles and encourages responsive hydrated hair. • If you are experiencing dry hair issues, you will benefit from using this vinegar rinse. • This vinegar rinse is also perfect for oily hair. This product will leave your hair soft and shiny without the greasy feel. • Use this vinegar cleanser before applying your serums. It will allow your product to penetrate the scalp better and become more efficient. • Use once every two weeks to cleanse the scalp. If used more often it could dry the hair out. Please use a conditioner after using this product. Acetic Acid (Apple Cider Vinegar), Aloe Barbadensis (Aloe Vera Hydrosol), Urtica Dioica (Nettle Root) Extract, Symphytum Officinale (Comfrey Root) Extract, Plantago Lanceolata (Plantain) Extract, Persea Americana (Avocado) Oil, Equisetum Arvense (Horsetail) Extract, Psidium Guajava (Guava Leaf) Extract, Lagerstroemia Speciosa (Banaba Leaf) Extract, Sodium Lauroyl Lactylate, Caprylyl/Capryl Glucoside, Xanthan Gum, Glycerin, Melaleuca Alternifolia (Tea Tree) Oil, Citrus Sinensis (Orange) Peel Oil, Leptospermum Scoparium (Manuka) Oil, Mentha Piperita (Peppermint) Oil , Rosmarinus Officinalis (Rosemary) Oil, Lavandula Angustifolia (Lavender) Oil, Salvia Sclarea (Clary Sage) Oil, Glyceryl Caprylate, Phenethyl Alcohol, Cedrus Atlantica (Atlas Cedarwood) Oil, Cymbopogon Flexuosus (Lemongrass) Oil, Arctium Lappa (Burdock Root) Extract, Panthenol (Vitamin B5). I use it once a month to thoroughly clean my hair and scalp. It removes build-up and leave your hair CLEAN! This way I know that my hair can absorb moisture and not be blocked by residue. I started using the vinegar rinse and have been very pleased. It definitely removes the build up from my shampoo, hairspray, and other products. My hair feels super soft and looks much healthier after using it. I am sure that my other products work even better now. Definitely will continue to use this. The vinegar rinse definitely cleans thoroughly. I can feel my every single hair so clean and so fresh. It leaves my hair clean without drying it out like I thought it would, it doesn't. It just leaves my hair silky and fluffy! It's great. I have dry curly hair and I use a lot of products in it. Eventually there is buildup in my hair and it looks lifeless. My hair always feels amazing and soft after using this vinegar rinse and all my hair products work even better. I would definitely recommend this to anyone who uses styling products or has dry lifeless hair. This Vinegar Rinse Cleanser is a must have item in my hair care routine. I use it once every two weeks or so to remove buildup from styling products. I don't use it until I notice my hair is weighed down. It thoroughly cleans my hair and leaves it feeling weightless. The water in my apartment building is extremely harsh and drying to my relaxed, color treated hair. No matter what moisturizing shampoo I used my hair never felt as soft as it did leaving my hair salon. I was told mineral deposits in water will cause hair to dry and eventually break. I bought this and I am hooked. My hair felt so soft and manageable. I only use this product once a month. It has greatly improved my hair condition! This vinegar rinse to remove build up is AWESOME!! I have very fine, limp hair. This adds volume and shine, while removing all the buildup from styling products... and it smells great too! I love it and would recommend it to anyone!" I love this vinegar rinse! It gets rid of all the residue from oils, moisturizers, and other hair products. It leaves my scalp feeling clean and fresh. My beautician loves the way it leaves my hair squeaky clean. I've tried almost every hair product on the market (it seems) and nothing has left my scalp healthier and my hair shinier than this product! After one use, i felt like my scalp could breathe (if that makes any sense). My hair was so shiny and healthy looking that my coworkers noticed and 3 of them ordered a bottle. Truly wonderful product! I love ❤️ the way it made my hair feel and shine after one use. I will definitely use this product again. My hair is in it's natural state. I am a black girl with long hair it takes a lot for me to love a review a product. I really love this Vinegar Rinse Cleanser. I really clean my hair no build up is left. My hair feels very soft and manageable. I have my daughter hooked on this stuff. Each time I use the vinegar rinse on my hair I am amazed at how much more full it is and how unbelievably healthy it feels. It is a product that truly works! I'm so happy I finally gave it a try. I'm hooked! I've only used it a few times, but my hair feels softer, ckeaner, and my scalp feels really good. Kind of tingly, like a breath of fresh air! I'll defenity buy again and am excited to see the long term affects! These two products get 5 stars. Every thing I have gotten from just nutritive is wonderful. The hand cream is thick and soothing I love it. I use the Vinegar Rinse Cleanser every two weeks along with the Gray Hair Shampoo and Conditioner. I highly recommend these products. The rinse leaves my hair in great condition. I love Just Nutritive products and will be trying some skin care products next. This did a nice job of detoxing my hair. I probably will use it 2 a month!